There’s nothing worse than a burst water pipe! Watching your home get seriously damaged can lead to panic on what to do. Here are the steps you need to take when a water pipe has burst. Even if you don’t know where the water is coming from, find the stop tap on the water main and turn off the water flow. You also need to turn off the electricity at the main, this will prevent any accidental shocks. Water and electricity don’t mix well, so better safe than sorry. Once the water and electricity is off, you need to drain the pipes by running the cold water on every tap, flush each toilet and (after shutting off the water heater) run the hot water on every tap. Once the pipes are all drained of water, the leak will stop. Once you have located where the leak is coming from, inspect the damage and get in a plumber to assess the leak. A professional plumber will be able to tell you if it is a major water pipe or a single pipe that has burst, the first will be a bigger repair than the last and cost more money as a result. 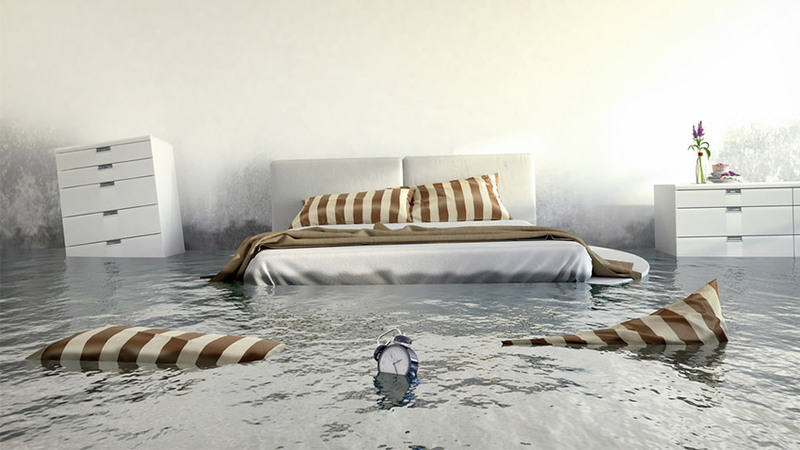 Depending on the extent of the leak and the amount of water that has flooded you may want to consider bringing in a professional drying crew as well as the plumber. Using fans and open windows to dry a soaked area is not going to be enough to prevent mould, mildew and other bacteria from growing. Unfortunately, water pipes do burst and leaking pipes can cause damage to households whether they are located underground, in walls or in a ceiling space. There are many different types and brands of water pipes, both in existing buildings and new dwellings, in Australia. Copper pipes, Polybutylene pipes, Pex pipes and Steel pipework all have weak points and may burst or leak from time to time. M.J. Walker Plumbing and our team of licensed and experienced Gold Coast plumbers can repair or replace all of these pipes.